The Minnesota Supreme Court decided two unrelated disputes about the enforcement of employment contracts within the space of thirty days this summer. Both decisions allowed the employee to elude, at least temporarily, the plain language of a contractual obligation. An employee who failed to timely return his employer’s property after leaving the company was allowed to seek a contractual payment of funds from the company, even though his employment agreement stated that failure to timely return the property allowed the employer to cancel the payment. Capistrant v. Lifetouch Nat. Sch. Studios, Inc., no. A16-1829 (July 25, 2018). An employee who left his employer to work for a competitor avoided an injunction against him continuing to work for the competitor, even though his employment contract stated that the employer was entitled to an injunction if he left the company work for a competitor. St. Jude Med., Inc. v. Carter, no. A16-2015 (June 27, 2018). This pair of decisions is educational on at least three levels. In general terms, the pair highlights the quandary of attempting to apply contractual obligations to the real world. As legal doctrine, the pair expressly resolves some basic questions of Minnesota contract law. Finally, the pair emphasize that an employer must show actual, not speculative, damage caused by the employee if the employer wishes to enforce a harsh term of the agreement against the employee. General Principles: Why Can’t My Attorney Give Me a Simple Answer? Capistrant and St. Jude illustrate a difficulty of the task undertaken by attorneys (and their clients) when interpreting contracts. Courts regularly affirm, “In most cases, our primary goal in contract interpretation is to “enforce the intent of the parties,” and “intent of the parties is typically determined from the plain language of a written contract,” so that the “language of the contract” is “generally” enforced. But when the rubber meets the road, judges are often willing to disregard the plain language of a contract in pursuit of notions of fairness. In both Capistrant and St. Jude, the Minnesota Supreme Court concluded that it would not be right to impose hardship upon an employee for the benefit of the former employer. Both decisions are easy to sympathize with, for in both cases there was no clear basis to conclude the employee’s flagrant breach of the employment contract had actually inflicted any harm on the former employer. An invisible cost, however, will likely be measured in attorney hours expended (and billed) to analyze future contracts and fact situations, and explain in painful detail how no matter what the contract says, there’s some chance a court will just refuse to enforce it. There will also likely be expenditures of time and money as attorneys attempt to draft language for future contracts that will have a better chance of being enforced by the courts. On another level, Capistrant and St. Jude bring added clarity to Minnesota contract law. 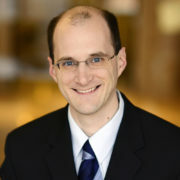 Capistrant approved the use of § 229 of the Restatement (Second) of Contracts for analyzing whether non-occurrence of a condition precedent may be excused, in order to prevent a “disproportionate forfeiture.” A “condition precedent” is, in rough terms, an event that must happen before one of the parties to the contract becomes obligated in some way – essentially, a tripwire that activates an obligation. If the condition precedent does not occur, the tripwire is not tripped, and there is no breach of contract if the party does not fulfill the obligation. In Capistrant, the condition precedent was the employee’s return of company property immediately upon leaving the company. The obligation connected to this tripwire was the company’s obligation to pay the employee a certain amount of money in commissions. The company argued that the property was not returned soon enough, so the tripwire was not activated and the company was not obligated to make the payment. The employee argued that his return of the company’s property three months later was not a material breach of the agreement, and the company was not harmed in any way, so the company was still obligated to pay him. For background: the rule previously recognized by Minnesota courts is that a condition precedent “must be literally met or exactly fulfilled, or no liability can arise on the promise qualified by the condition.” At the same time, courts “look with disfavor on forfeitures of all kinds.” Capistrant pitted these two principles against one another, for requiring exact fulfillment of the condition precedent would result in a forfeiture by the employee of a large amount of money. To reconcile the two principles in tension, § 229 of the Restatement (Second) of Contracts states a test: the court must consider whether the condition precedent was a “material part” of the exchange in the contract, and also whether the “risk to be protected” is proportional to “the amount to be forfeited.” By approving this approach, at least in the context of employment contracts, the Minnesota Supreme Court effectively decided that Capistrant’s failure to fulfill a condition precedent in precisely the manner stated in the contract might still be close enough to trip the tripwire and activate the obligation by the employer to pay. The decision in St. Jude can be described more concisely. The employment contract there stated that the employer “shall be entitled to an injunction” if the employee went to work for a competitor. The employee left St. Jude and went to work for a competitor, Boston Scientific. The trial court found that the employee had breached the agreement but nevertheless refused to grant an injunction after concluding that St. Jude failed to show it would suffer irreparable harm absent an injunction. On appeal, the Minnesota Court of Appeals disagreed, holding that the employment contract should have been enforced and an injunction entered. But the Minnesota Supreme Court reversed the Court of Appeals, explaining that “Allowing the terms of private agreements to dictate whether a court must issue an injunction would interfere with a court’s equitable jurisdiction and powers.” St. Jude, at p.8. That is, no matter what the employment agreement may say, a court always has the power and obligation to decide for itself whether an injunction – a type of equitable remedy – would be appropriate. No contract can dictate in advance what the Court must do in the exercise of its equitable powers, even if both the employer and the employee agree in advance that an injunction will be entered. Thirdly, a common theme in both Capistrant and St. Jude was the Supreme Court’s attention to whether a real risk of harm to the employer justified imposing a harsh detriment (forfeiture of a large payment or entry of an injunction) against the former employee. In both cases, the Court rejected a strict letter-of-the-contract approach, holding that an employer unable to show a real, rather than speculative, risk of harm may not enforce even plain, unambiguous employment contract provisions. In Capistrant, the employer argued immediate return of its property by the employee, rather than return after a delay of three months, was necessary to protect the company’s confidential information from competitors. The employee argued that a three month delay was not material. The Supreme Court concluded that this was a dispute of fact that could not be resolved as a matter of law, explaining that one could infer from the contract language that immediate return was material to the employee’s receipt of any contractual payment, or one could infer that “as long as Capistrant did did not disclose or use [his former employer’s] property to compete with [his former employer], his retention of the property for some period of time may not be material to his receipt” of the payment. St. Jude at p.6-7 (citing Valspar Refinish, Inc. v. Gaylord’s, Inc., 764 N.W.2d 359, 364 (Minn. 2009), Travertine Corp. v. Lexington-Silverwood, 683 N.W.2d 267, 271 (Minn. 2004), and Dykes v. Sukup Mfg. Co., 781 N.W.2d 578, 582 (Minn. 2010)). The Supreme Court carefully left itself an escape route for future cases, specifying “In this unique context, we agree with the court of appeals that guidance can be drawn from the Restatement.” Capistrant at p.9 (emphasis added). The significance of that caveat remains to be seen. However, the Court’s general approval of the analysis in § 229 will provide a reasonable basis for litigants and judges to similarly follow a § 229 approach in future cases. Capistrant at p. 9 (quoting 13 Richard A. Lord, Williston on Contracts § 38.6 (4th ed. 2013)). To be precise, the Supreme Court did not say that three months was close enough for Capistrant; it said that three months might be close enough. The Court remanded the case for the trial court to decide whether immediate return of the property was material to the employer’s obligation to pay, and if so whether forfeiture of the employee’s payment was disproportionate to his obligation to immediately return the property.